I admit to being totally tricked by scores of people saying that the burger they had at Burger’s Priest was the “best they ever had”. Heck, even Daniel Radcliffe said so! All of these reviews gave me the impression that whatever is on offer at BP must be nothing like the burgers served up by fast food restaurants. Sure, Burger’s Priest corrects the fast-food restaurant problem of “massive portions of over processed over spiced frozen beef that has been charred to petrification” by using fresh ground beef patties of modest size and smash-grilling them to order. But this is nowhere near the best burger I’ve ever had. 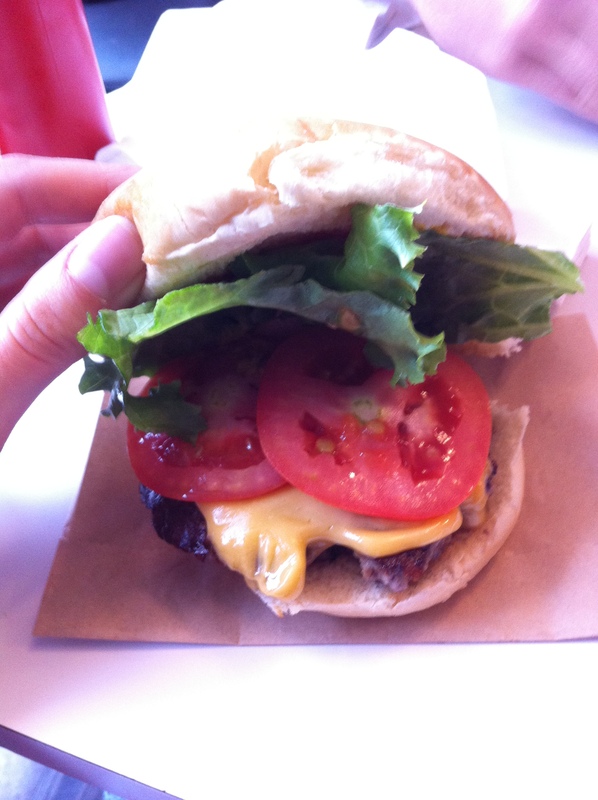 The Bun – The bun was your typical burger-joint bun. The Cheese – Most definitely processed. Automatic FAIL. The Toppings- My “best burger” involves more than the standard lettuce, tomato, pickles, onions, ketchup, mayo, mustard– all of which were fine but nothing special. 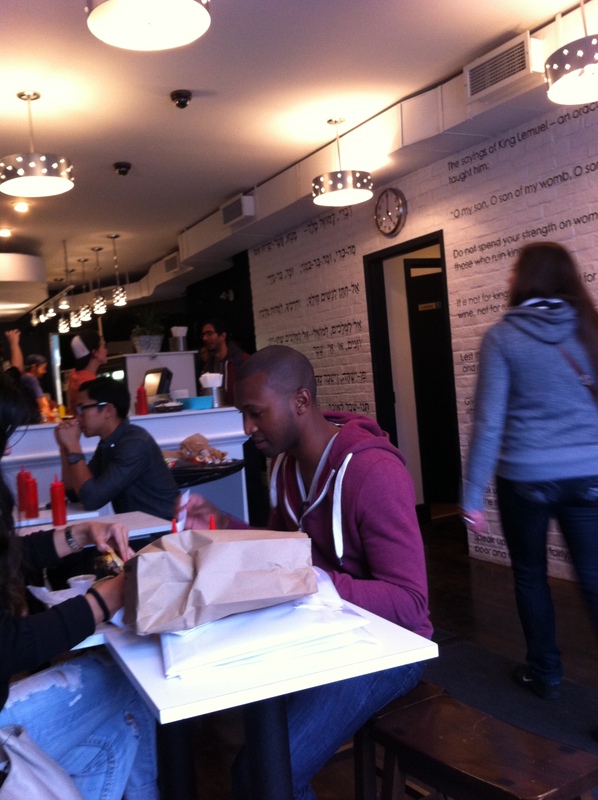 The Burger– Honestly, the taste and texture didn’t do much for me. And it was definitely too salty for my liking. There are of course options beyond the standard cheeseburger, including those on the “Secret Menu” that is not posted in the store. You might get a burger with secret sauce, jalapenos, chili, fried onions, or bacon. 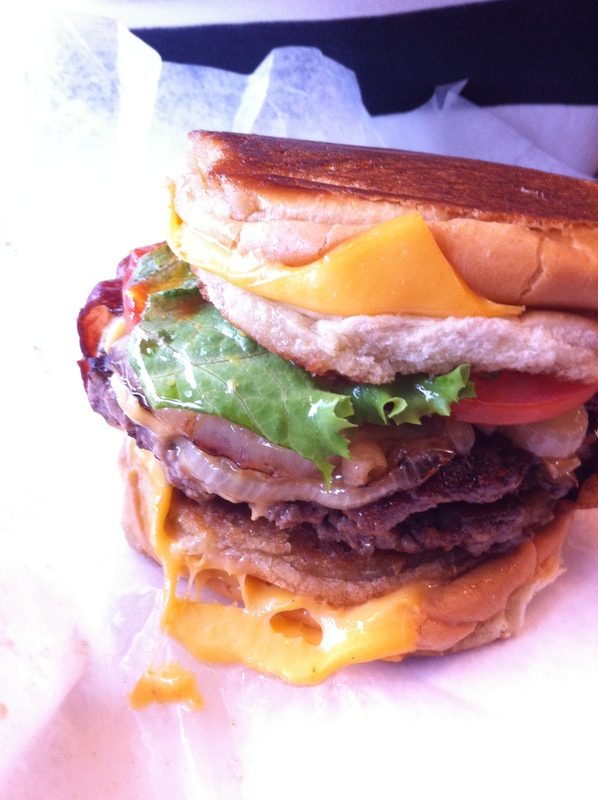 You might have your burger in between two “grilled cheeses” made out of the aforementioned processed cheese and buns. You might even get “The Option” – a vegetarian patty with panko-crusted portobellos filled with cheese (which definitely looked like it came from the freezer). Even my partner’s daring combination of upgrades (the “Vatican” plus bacon and fried onions- approx. $14) was not spectacular. I guess if you want a McDonald’s burger corrected, you might want to go to Burger’s Priest. But my “best burger” doesn’t resemble a McDonald’s burger at all. This entry was posted in Dine Under $50, Diner, Uncategorized and tagged American, burgers, diner, fast food, fries, hamburger, milkshakes. Bookmark the permalink.